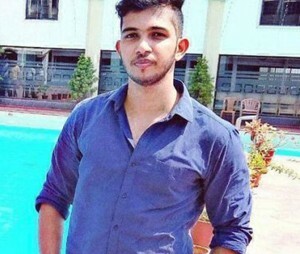 Mangaluru, 10 Aug 2018: The mortal remains of the techie from Mangaluru, who had accidentally fallen into Bhadra River during his excursion to Kudremukh 15 days back has been finally located in a river near Magundi in Mudigere taluk in Chikmagalur district. The deceased youth has been identified as Kiran Kotiyan (26) from Thumbay village in Mangaluru. He was employed as an engineer at a private company in Mangaluru and had gone on a excursion to Kudremukh with 13 friends of his. The tragedy occurred while the deceased was trying to take a photo from a rock when he fell off the rock and into the river at Ambatheerta in Kalasa on July 26. Since the past fortnight, the police and localities were indulged in the search of the victim. A case has been registered with Kalasa police station.